A plant of cultivation. the origin of which is obscure. It probably arose through cultivation. A good guide to growing vegetables in temperate areas, not entirely organic. Salads all the Year Round. A good and comprehensive guide to temperate salad plants, with full organic details of cultivation. Excellent general but extensive guide to gardening practices in the 19th century. A very good section on fruits and vegetables with many little known species. Snippets of information from the magazine of the RHS, including an article on Crambe maritima and another on several species thought to be tender that are succeeding in a S. Devon garden. Phillips. R. & Foy. N.
Deals with all types of herbs including medicinal, culinary, scented and dye plants. Excellent photographs with quite good information on each plant. Green manure crops for temperate areas. Quite a lot of information on a number of species. 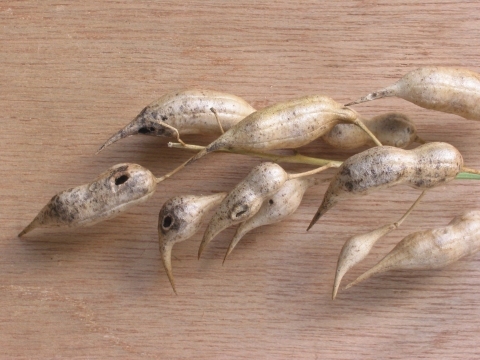 Seed - sow in situ. Germination should take place within 2 weeks.